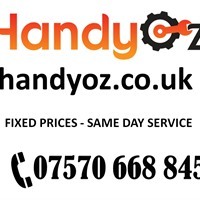 You need a handyman service, and HandyOz is here to help you. We have multi-talented handymen, and skilled trade workers to do all types of home repairs, small jobs and odd tasks. Hire our skilled workers by the hour or pay fixed price. Call for a free quotation today. Emergency Call out available: fast reliable trusted Service.